On Friday, three villages north of Abyei town were reportedly bombed, and a fourth reportedly bombed or shelled, according to multiple reports from sources on the ground, said the Enough Project. Sources say the Sudan Armed Forces conducted the bombings. These reports have not been officially confirmed. The U.N. Security Council had been scheduled for a visit to Abyei this coming Monday. 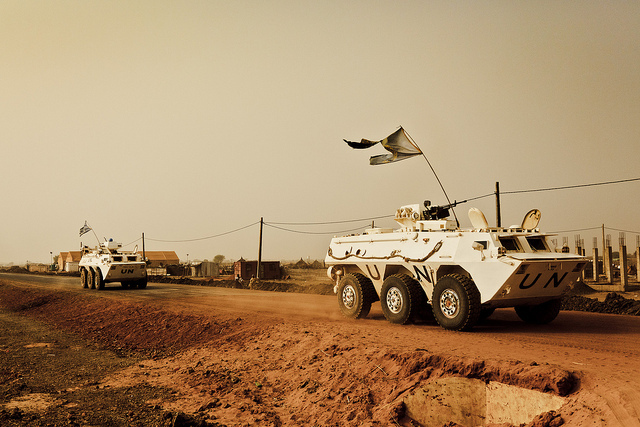 The reported bombings follow Thursday’s attack on a U.N. convoy escorting Sudan Armed Forces that were part of a Joint Integrated Unit. A U.N. statement said the confrontation took place in an area controlled by southern police and condemned the attack. The U.N. is currently investigating who is behind the attack and how many people were killed. In news reports, SAF representatives claimed the attack was an SPLA ambush that left 22 of its soldiers dead. The SPLA has denied responsibility.